These are neither precise, not accurate. These are precise, but not accurate. These are accurate, but not precise. These are accurate and precise. Thanks Athif, for your inputs. Good catch. Thanks for your feedback. I've added "Quality Management" as a label now. Regarding Q9 from Oliver Lehmann, I think it's a good question and it stumped me also in the first attempt. But after thinking about it, I think I know the correct answer. The process is "High Precision" because all the values lie within LSL and USL (not even a single value is outside the limits). Accuracy is the absolute difference from the mean. As you can see, most values are falling above the mean. Hence "Low Accuracy". If we "adjust" the process such that the values are distributed equally around the mean, the accuracy will improve. That's why the process should be "adjusted". Note the subtle difference between "adjusted" and "improved". Thanks to you for bringing this up here. I think this discussion adds real value to the post. confused what is random and non-random and how it looks like in diagram. The diagram in the Oliver Lehmann question 9 shows data points from common causes (random points). But let's say if you had one point way outside the control limits, it could be due to a special cause (non-random point). Similarly, if you have 7 continuous data points on the same side of the mean, it also indicates a special cause. I tried to understand this by plotting an area chart using line samples given by Harwinder. Missing the target every time. Hitting the target every time. I understand the difference between Accuracy and Precision but I'm not clear on adjust and improve. From Oliver Lehmann Q9, The process has high precision but low accuracy. It should be adjusted. So Low Accuracy - do you adjust or improve? Adjust is to move the values close to the desired value. Improve is to reduce the scatter and bring the values closer. For better precision you improve (P-I). For better accuracy you adjust (A-A). First of all, would like to appreciate your efforts!! As you said above that 'Adjust is to move the values close to the desired value'. This means that you adjust for better accuracy. "For better precision you improve. For better accuracy you adjust." I've deleted my previous comment and posted the amended one. 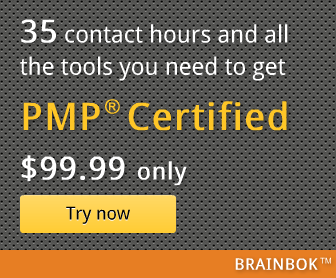 I would like to thank you for all your posts which has helped me to clear my PMP certification today!!! That's wonderful. Congratulations. I'm very glad to be of help. Please post your lessons learned on PM Hangout. I'm looking forward to reading your success story. Thanks, that really helps me clear the answer to q9, -> For better precision you improve (P-I). For better accuracy you adjust (A-A).